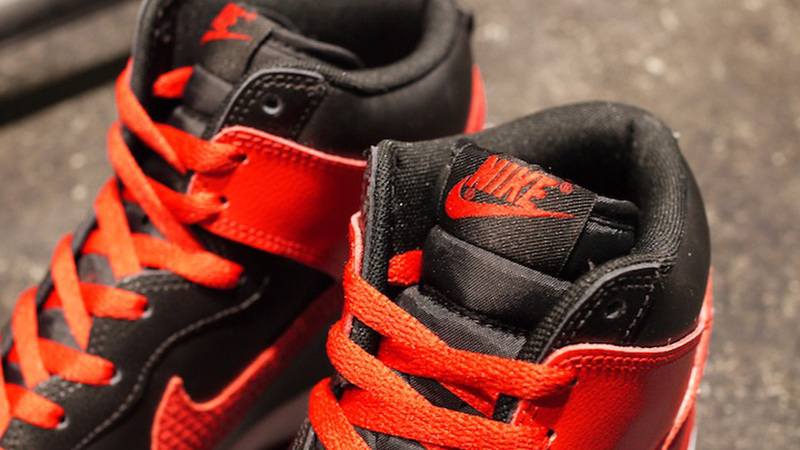 Nike Sportswear is taking it back this fall with a new Dunk High "J-Pack" collection, led off by a familiar looking black and red colorway. 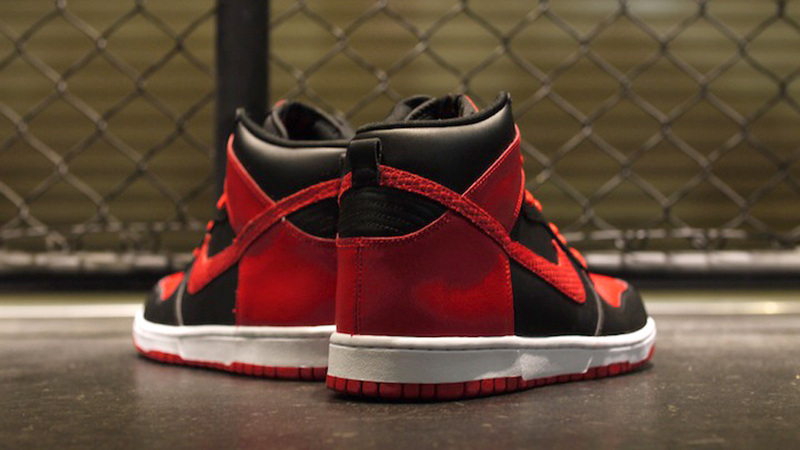 This Nike Dunk High LE features a black and sport red upper, constructed with mostly smooth leather except for a textured swoosh. 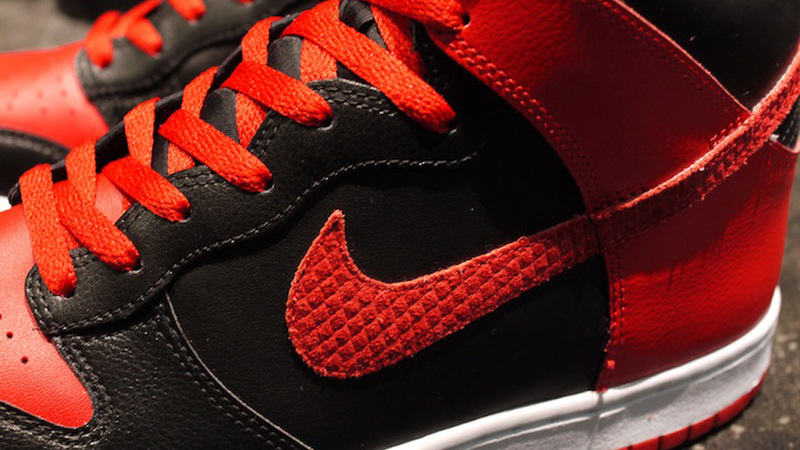 A white midsole and sport red outsole complete the traditional color scheme. 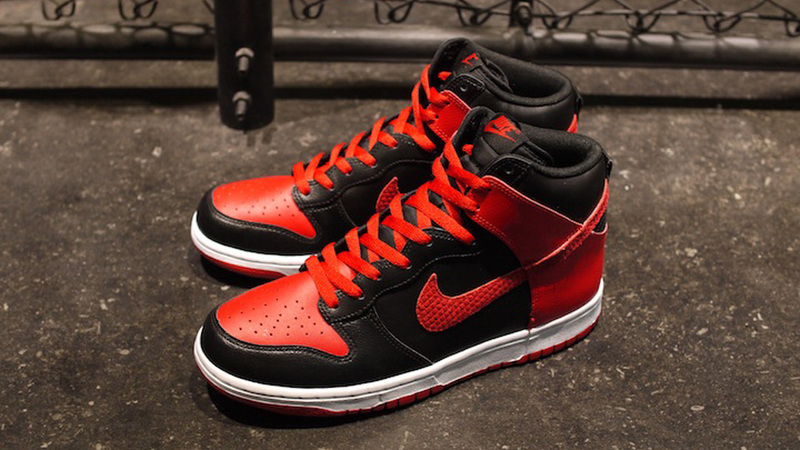 Look for the Nike Dunk High LE in Black / Sport Red / White this October at select Nike Sportswear retailers.